Lily Kak is a watercolor artist who was born and raised in India where she learned art in high school. She rediscovered her passion for art 20 years later after having immigrated to the US, raised two children, completed her PhD, developed a career in international development, and took several art courses. She travels extensively around the world, especially in Asia and Africa in her profession as an international development expert. 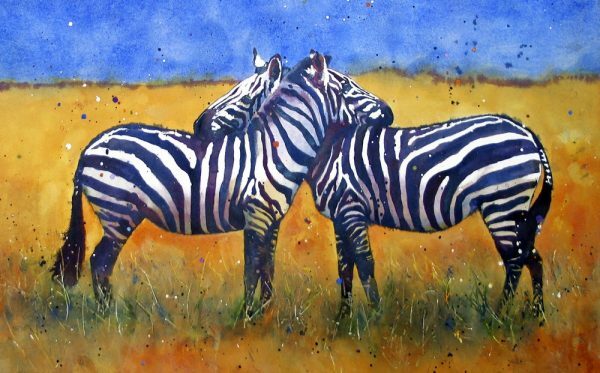 She is inspired by the vibrant and diverse cultures that she experiences as she travels globally and these are often reflected in her art-work. Pursuing her two passions – art and international development – demands discipline to make time for both. 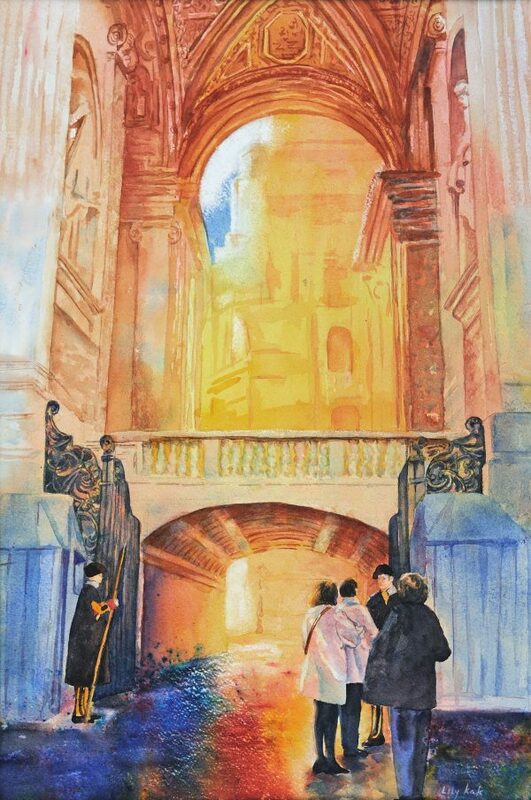 Lily is a signature artist of the Baltimore Watercolor Society. 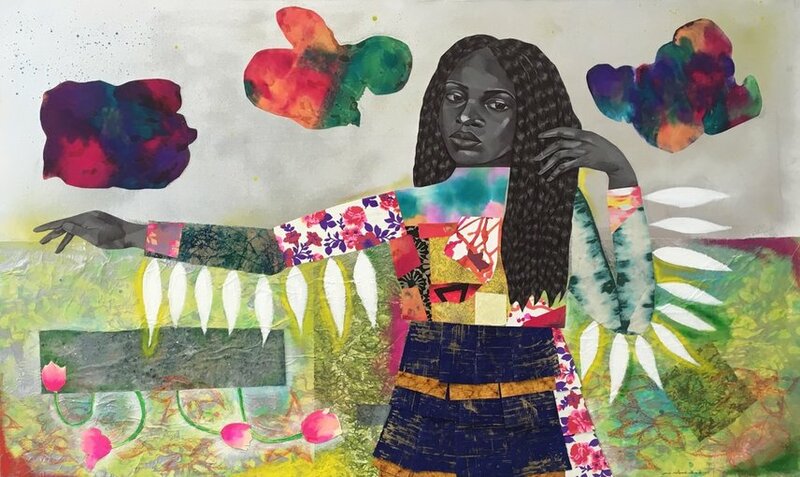 She won awards at the 2017 and 2018 Kensington Labor Day Art Shows. 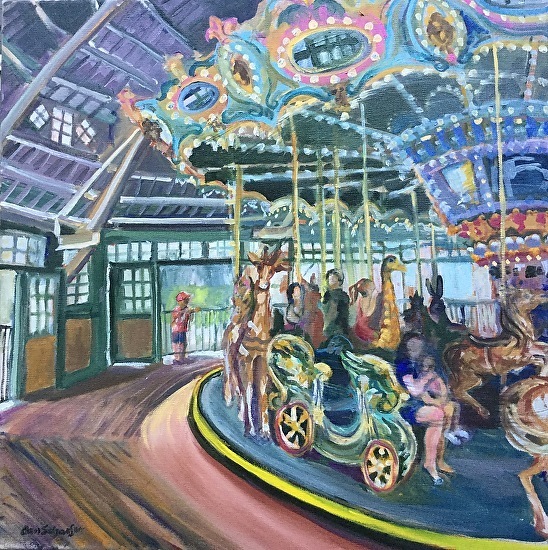 She has exhibited in several shows at Glen Echo Park, Brookside Garden, Friendship Heights Community Center, and the Kensington Labor Day Art Shows. 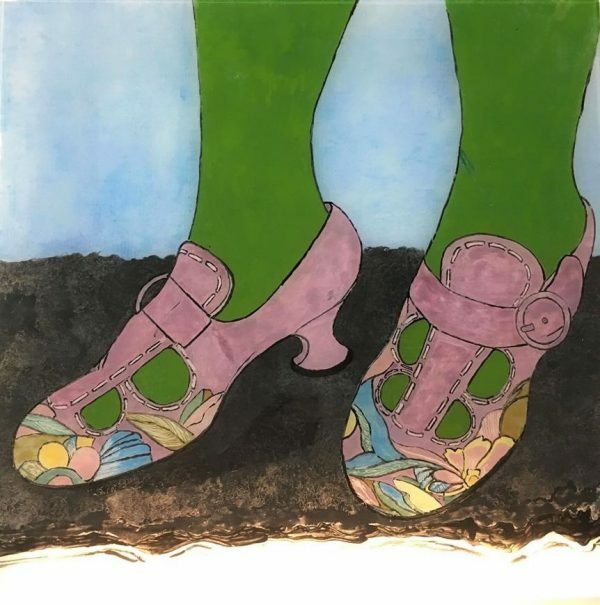 She is a member of the Montgomery Art Association, Baltimore Watercolor Society, Glen Echo Yellow Barn, Artist and Makers Studio, and Rockville Art League. Jamie Downs is a mixed media artist working in drawing, painting and digital media. 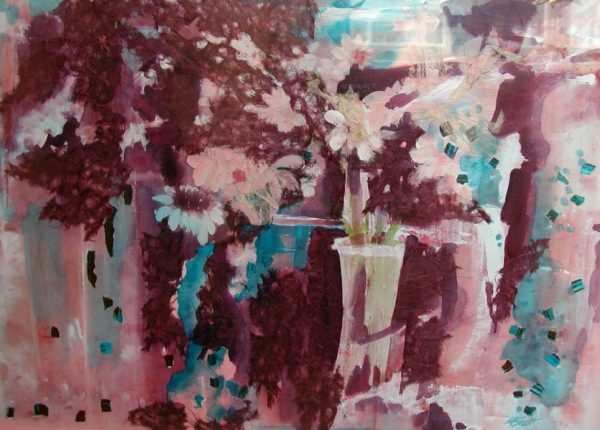 She has shown throughout the mid-Atlantic region and is currently represented by The Willow Street Gallery. Her studio is at A.Salon in the central Takoma area of DC. 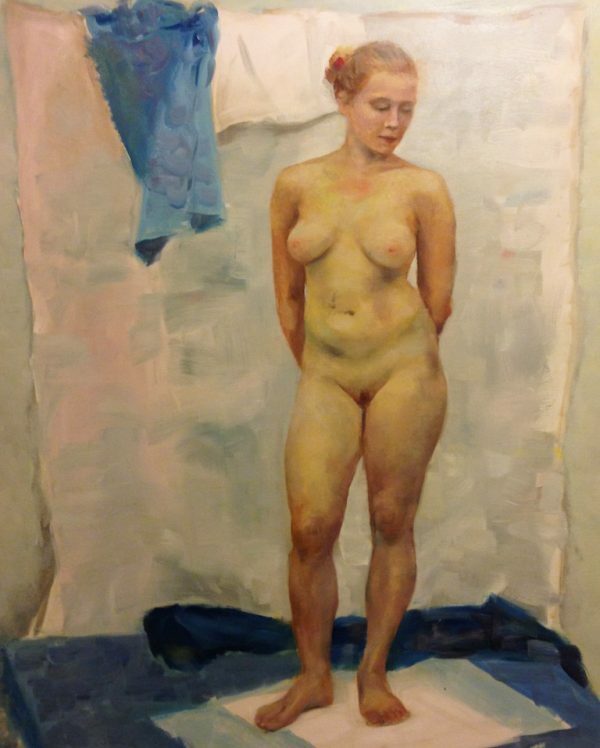 Jamie Downs received a Bachelor of Fine Arts in Painting degree from Kutztown University in Pennsylvania with further study at La Salle College in Philadelphia and University of Massachusetts, Amherst and has taught at Prince Georges Community College, Drexel University and currently at Montgomery College, Germantown. 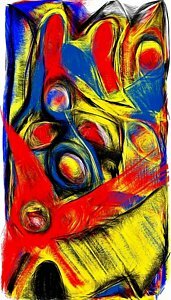 Jamie has worked in mixed media painting for over 45 years exploring themes of oneness and transcendence, searching for her own personal archetypes. This often makes it possible to place work done in different media and sometimes even scale, years apart, together to form a seamless diptych or triptych. Her largest series of work is the Oneness series which is non-objective; but her most recent series are floral archetypes, birds and animals. She has had numerous one person and group shows and is in many collections. Her studio is in North Kensington, Maryland and is open by appointment. 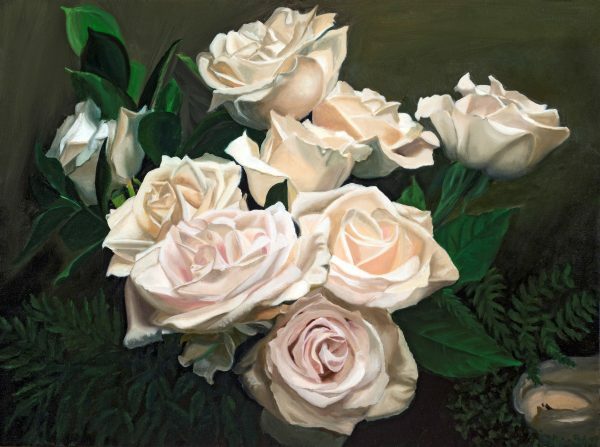 Peter is a leading proponent of a developing new genre of still-life painting called “Magic Symmetry”. Magic Symmetry is a combination of: (a) photorealistic renderings of objects; and (b) arrangement of these objects in symmetrical designs, such as circles. Still-life symmetry is quite different from the traditional “slice-of-life” or “snapshot” approach, showing the objects on a table-top or in a cabinet, which has been used for centuries in still-life painting. 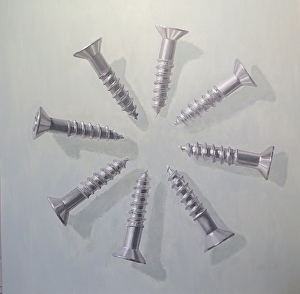 A good example of Magic Symmetry would be Peter’s painting entitled “Eight Wood Screws” shown above (acrylic on canvas, 48 x 48 inches, or 122 x 122 cm). Traveling introduced me to the joy of painting. 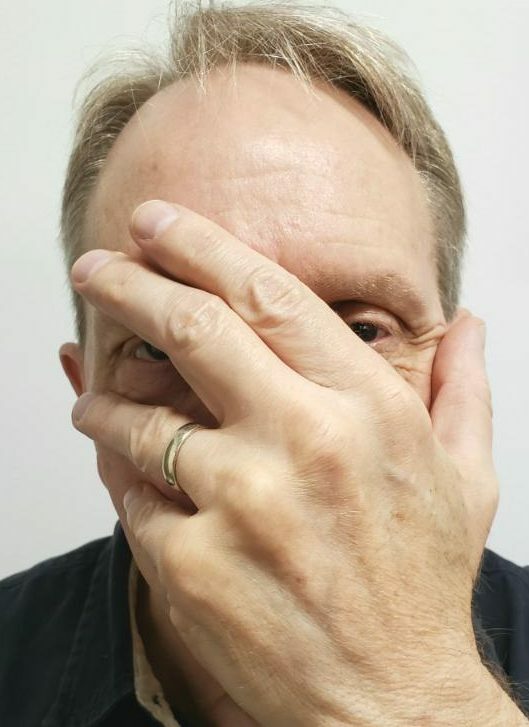 For many years I was merely a photographic observer. In 2003, my semi-retirement from being a research economist at NIST afforded me the time to pursue painting in classes and workshops (mostly at the Yellow Barn). With wonderful surprise, I found that plein air painting enriched my travel experience far beyond what my camera could and also introduced me to the beauty and variety of the Maryland landscape. 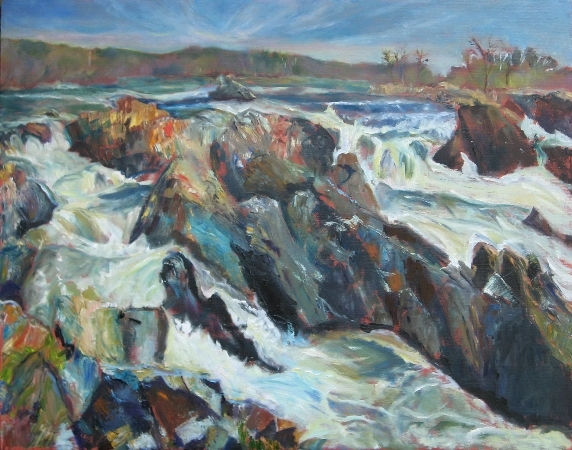 Ann is a plein air artist, gaining her inspiration from the places she paints. The excitement in her work comes from the rapid, fresh brushstrokes and color choices to catch the light of a particular place and time. She works primarily in Maryland, in the area surrounding Washington, DC, Frederick County, and the Eastern Shore. A Fine Arts graduate of George Washington University, she attended many classes at the Corcoran School of Art. She has always thought of herself as an artist, from childhood, encouraged by the adults around her, including many gifted teachers. Studying at the High School of Music and Art, and growing up in New York City, art was everywhere, and museums were better than playgrounds. 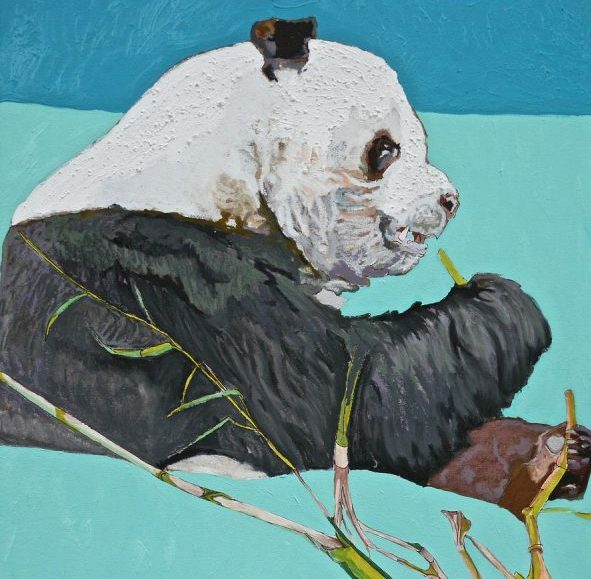 While she pursued a career in Federal environmental programs, she painted on weekends and vacations, mostly in watercolor, she began to enjoy outdoor art experiences. 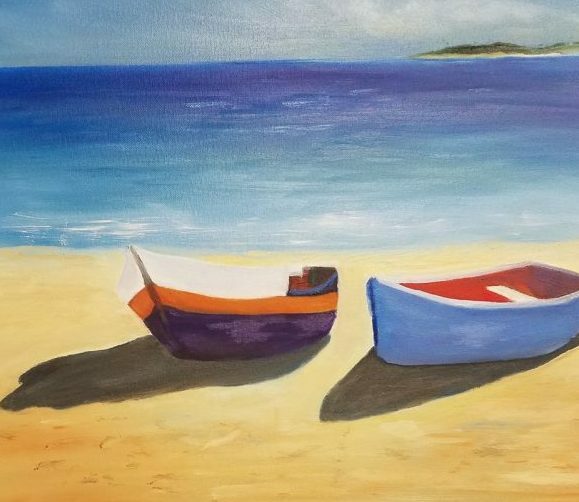 Now that she can devote her time to art, she loves plein air painting, and hopes that her paintings will be a reminder of how precious our environment is to all of us. 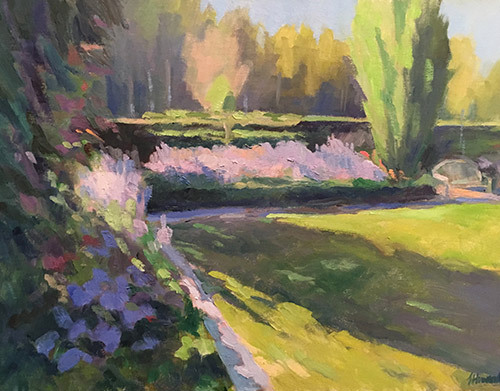 She has been juried into many plein air events and group shows in the Washington area, Baltimore, Frederick, Salisbury, Virginia and Pennsylvania, where her work has often received awards. 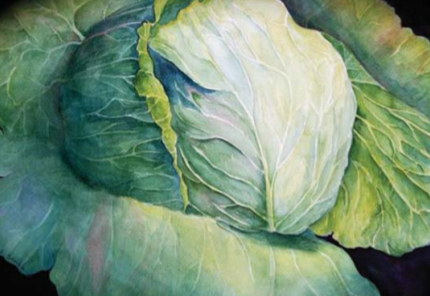 Vicky Surles is an award-winning realist artist, working mainly in watercolor and color pencil, focusing on portraits, still life and landscapes. 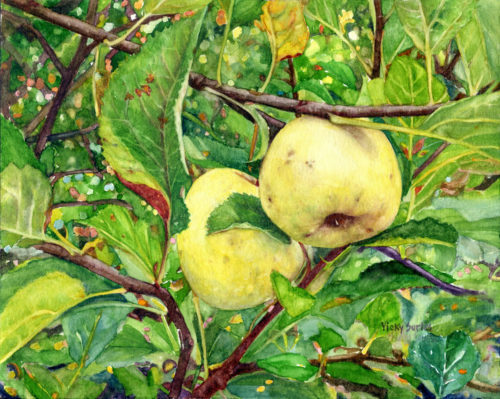 She’s a member and publicity chair of the Montgomery Art Association, Gallery 209, and a juried Signature member of the Baltimore Watercolor Society. Her work is in many private collections, as well as the US Department of State’s Art in Embassies Program. Vicky traveled and lived in Guatemala and Mexico for several years, and painted palm trees, lakes, volcanoes, Mayan people, and archeological sites. 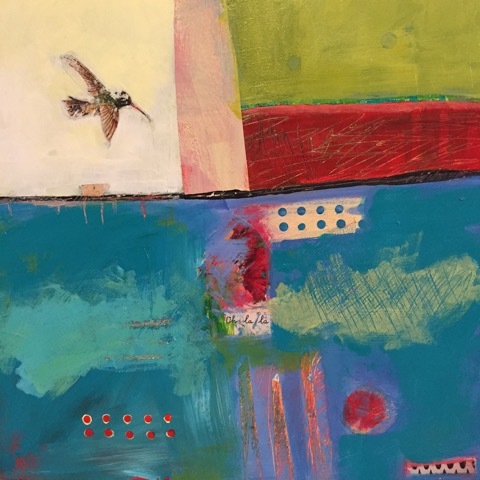 She has exhibited in juried solo and group shows, including Garrett Park Invitational Shows, Kensington Labor Day Weekend Shows, Strathmore Artists Juried Exhibitions, a Betty Mae Kramer Gallery Juried Show in the Silver Spring Civic Building, and at the University of Maryland. Her drawings have appeared in magazines, posters and in a book about the Caribbean. I’ve been working in water media for many years and recently I’m enjoying experimenting with various ways of applying color (acrylic, ink, watercolor) on canvas—splashing, pouring, brushing color that can freely unite into lively, energetic compositions. 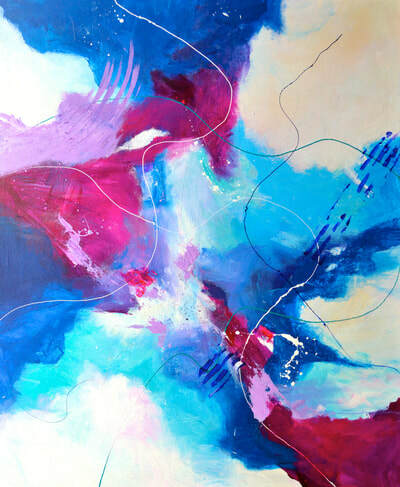 Allowing the paint to move and flow creates new and unimagined colors and forms—improvisation in art. I’m drawn to the freedom and ambiguity of pure abstraction— the freedom to take risks. be spontaneous, letting the paint do its work, and the mystery of the resulting works. I have studied under many national watercolorists, including David Kessler, Mark Mahferty, Pat Dews, David Daniels, Linda Kemp, Carrie Brown, Phil Metzger, Liam Zhen, Janet Barch. I am a resident artist with Artists & Makers Studios, a member of the Baltimore Watercolor Society, the Montgomery Arts Association, and Rockville Art League. I have shown and won awards in juried shows at Strathmore, Glenview Mansion, Kensington Labor Day Show, Friendship Heights Center, Glen Echo, and Women’s Club of Chevy Chase.